Man, it feels like forever ago when I got my first protective style of this year. As you may remember, for a protective style in January I decided to get an Alicia Keys inspired hair do, with corn rows or french braids in the front leaving the back out to do whatever I desire. So for the first week I rocked the back out in a curly fro. I added some mousse to help me hold and define the curls but I think I used too much because I had alot of white stuff in my hair after a few days. Let me tell you that I love, love, LOVE this style. 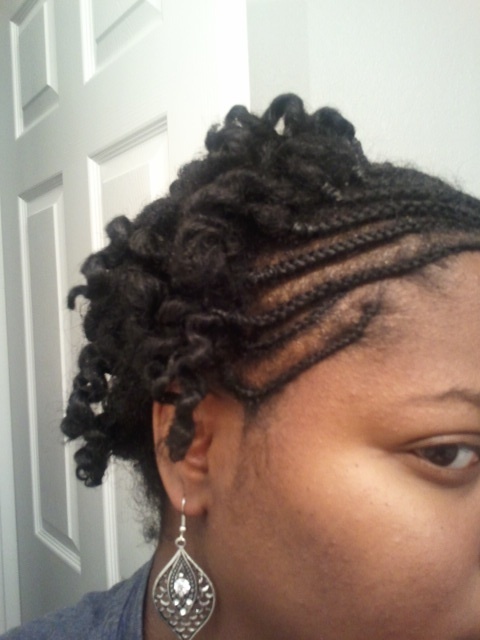 After a few days of being tired of the fro (kinda) I decided to do twists in the back. It was a little awkward twisting my hair because I had alot of product in it. So I washed it and I really think that I could have done a wash and go! I thought that I couldn’t do a wash and go, but the way the back of my hair looked and felt! …whoa momma! anyway, Maybe that will be my next style, for February? 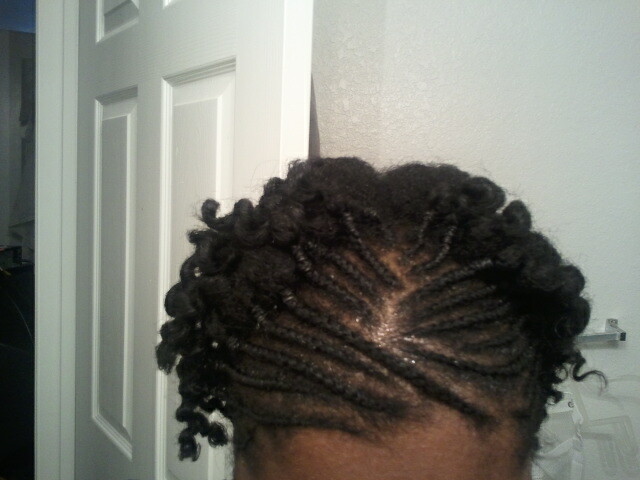 Anyway, here are the pictures of the twist out on the back of my hair. I’m very satisfied. Maybe this natural thing is going work out for me after all.